There are many women with children that have chosen the incredibly challenging task of juggling a photography business and motherhood. But this talented photographer has a successful photography business and….wait for it…..ten children. My hat goes off to this beautifully gifted artist, Lisa Holloway. 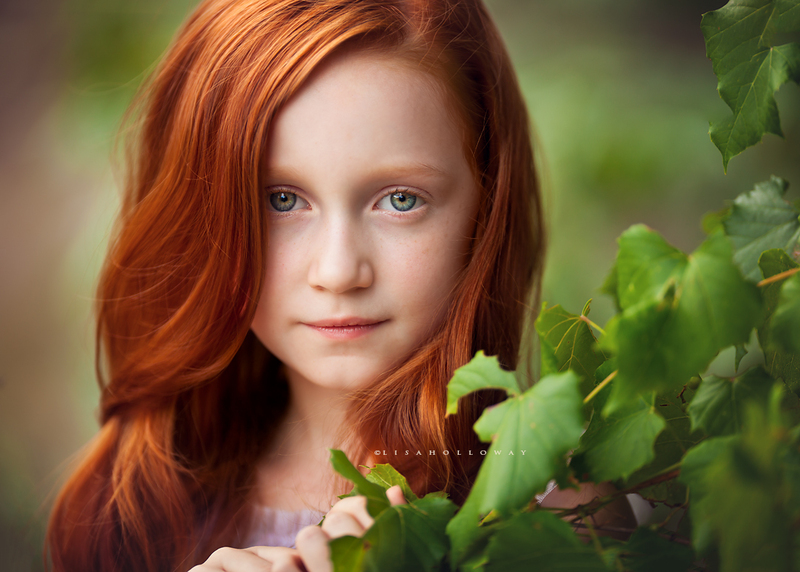 Lisa Holloway is an award winning, world renowned Las Vegas portrait photographer specializing in custom newborn, children, family, and high school seniors. Lisas ability to weave emotion and light into something magical something more than just a portrait, but a recording of who you are is second to none. As the mother of 10 children, you’d better believe that Lisa has a very patient and easygoing nature which helps her connect with everyone she photographs. Her portraits are sharp, vibrant and simplistic with plenty of emotion from those youthful eyes she captures. To see more of Lisa’s portfolio, go to . You have a new fan. What lens is you favorite? You edits are nice and clean. Love it. Thank you, Joe! The 200mm 2.0L is my favorite, hands down. i know allot of ur work is done with natural light but what kinds of lights/flashes modifiers do u use when the situation calls for it?